Larry Tremblay has written over thirty plays and novels. 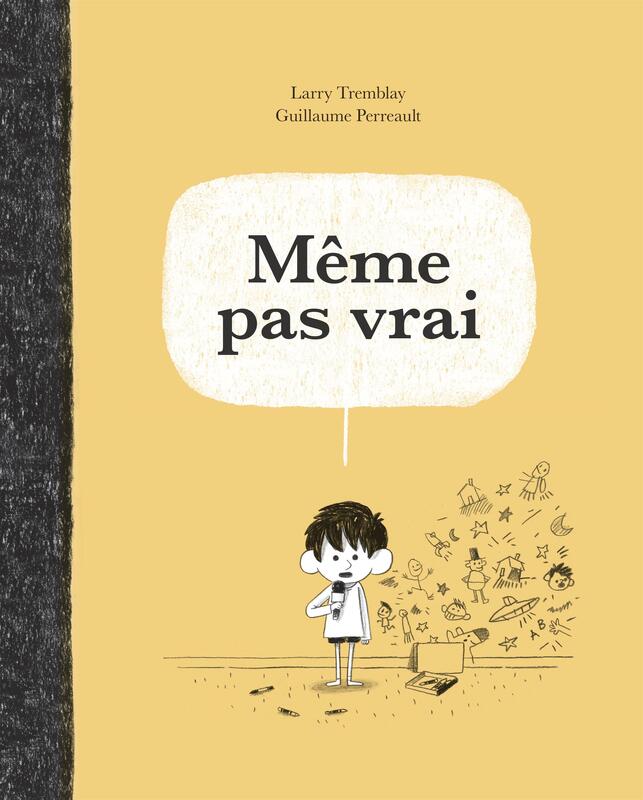 Même pas vrai, published in 2016 by Les Éditions de la Bagnole, is his first work for children. This graphic book — illustrated by Guillaume Perreault — tells the story of Marco, a little boy of “seven-and-a-half-and-counting” who views the world around him with a candid and sensitive eye. The book received the youth award at the Saguenay Book Fair in October 2017 as well as the 2017 TD Canadian Children’s Literature Award, a prize awarded every November to the “the best literary work by Canadian authors for children aged 1 through 12”. 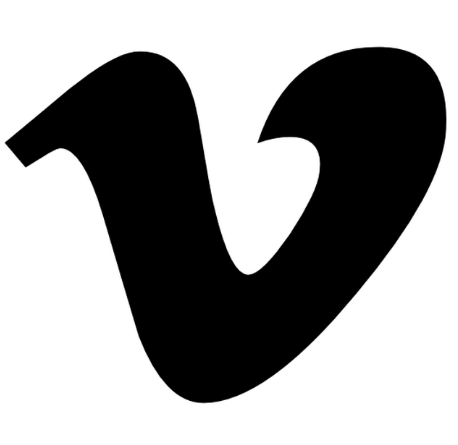 Même pas vrai is a collection of short scenes, of conversations between Marco and his father and mother. “I quickly realized that I couldn’t adapt it for the theatre,” says the playwright. “So, I wrote a new piece with the same characters: Marco and his friend Gina, as well as the boy’s parents and his new baby sister.” The play is called Marco bleu, and will be directed by Martine Beaulne and André Laliberté. Marco’s life has been turned upside down with the arrival of his baby sister. His mom is so tired, and his father is overwhelmed... His friend Gina takes him on a strange adventure, filled with extraterrestrial creatures made of candy that swallow pills instead of going to school and know everything and anything anyone needs to know. Marco has to draw a picture for a school project, but since he doesn’t have much artistic talent, Gina gives him a “drawing pill”. That’s when a Marco bleu alter ego appears and introduces our young hero to his colourful world and somewhat eccentric family. When the boy returns from this fantastical adventure, he understands that life on Earth can be extraordinary... even with a baby sister! Théâtre de l’Œil’s young audience members are a lucky bunch. Thanks to two cultural mediation projects, they’re going to discover all the secrets (well, almost all the secrets!) behind creating a puppet show. In conjunction with the presentation of A Heart in Winter, 4 grade 3 classes from Laval will participate in two workshops led by scenographer Richard Lacroix. 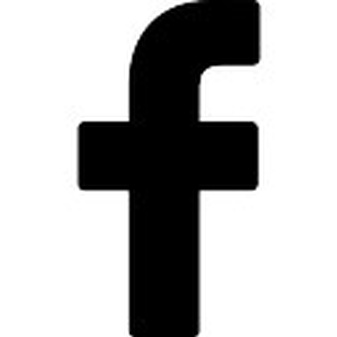 A Maison des arts de Laval initiative, this project is led by the local school board (Commission scolaire de Laval) and is presented in collaboration with Théâtre de l’Œil. 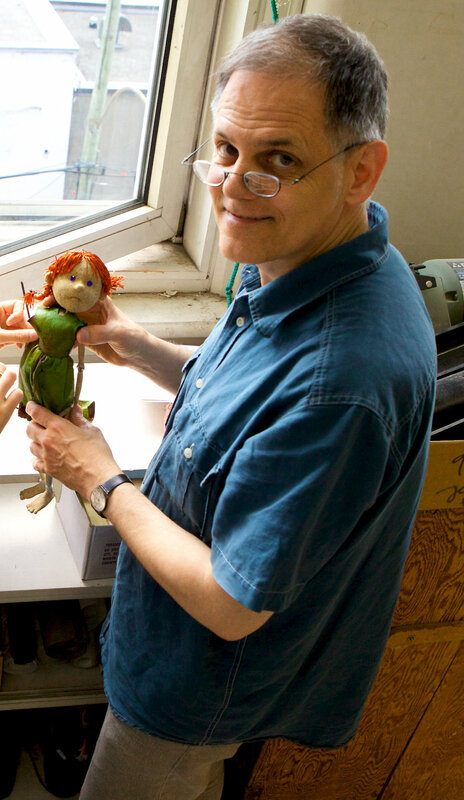 At the first workshop, Richard Lacroix will tell the show’s story using scale models and illustrations that describe his creative process and explain his approach. The goal is to help children understand how an idea can be translated into material objects. At the second workshop, students will have the opportunity to work on some of the show’s elements. Using small-scale models and shredded paper, they’ll explore how to create snow or a flower, how to make stars shine, or even how to invoke the changing seasons... The scenographer wants to introduce young people to the design process through the exploration of concepts such as transformation, life cycles and the passage of time, while allowing them to discover the possibilities that puppetry and its dynamic set design offer. 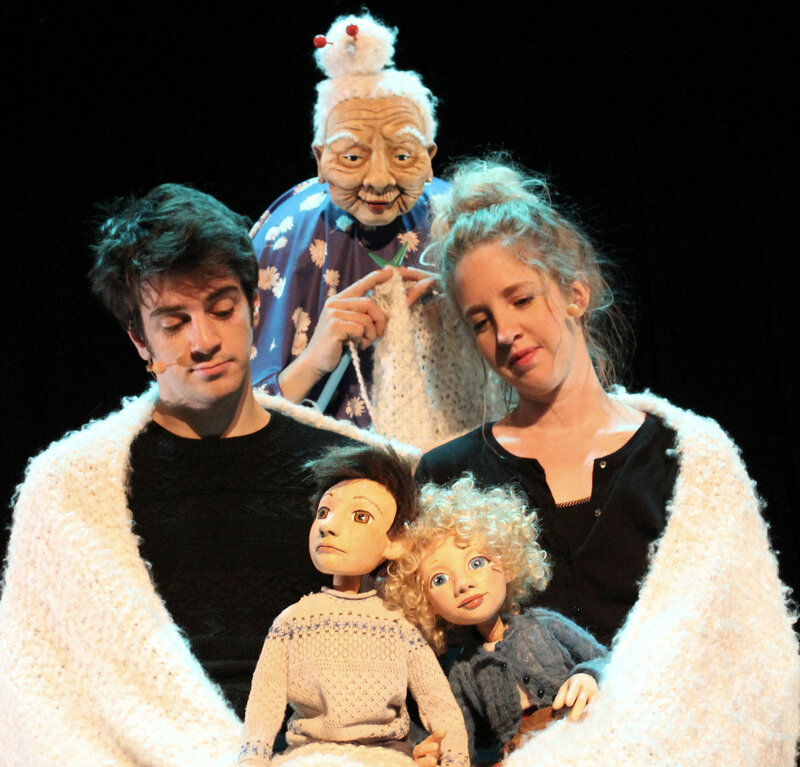 In conjunction with the presentation of The Star Keeper at Maison Théâtre, puppeteers Anne Lalancette and Nicolas Germain-Marchand, as well as digital artist Françoise Lavoie-Pilote, will visit 18 grade 3 and 4 classes from Montreal. Coordinated and supported by Une école montréalaise pour tous, an organization that works with children from disadvantaged backgrounds, the project aims to explore different digital art techniques. After building their own fragmented body puppet out of newspaper and tape, the children will learn how to animate it. 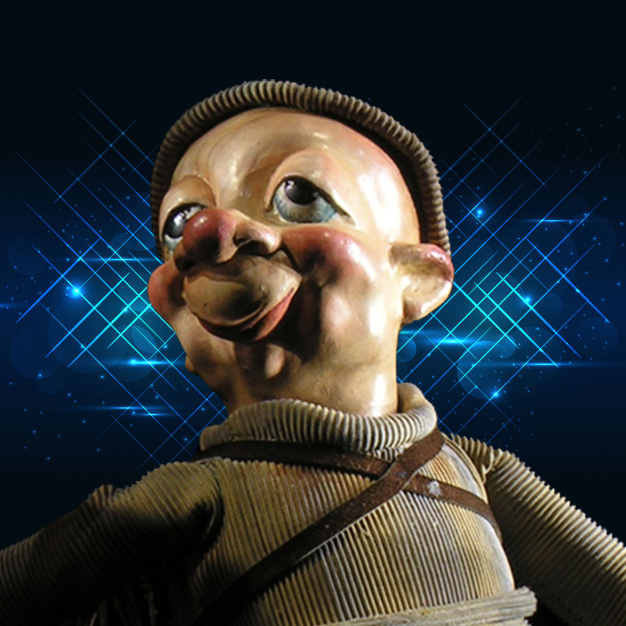 They will then make two short films: a stop-motion film featuring their puppets, and a light painting film. They will be able to study their puppets’ movements using chronophotography. These short digital works will draw their inspiration from The Star Keeper’s celestial poetry and imaginary world, and will be showcased in the Maison Théâtre lobby during the show’s run in March 2018. The children’s films will be screened and their puppets and pictures will be on display. SHORT BUT BRIEFThree shows on the road! Created in 1990, A New World / Un Autre Monde by playwright Réjane Charpentier was presented at the 2017 Festival de Casteliers. This poetic fable for very young audiences speaks to the issue of tolerance. The show made a stop in Dorval in December and will be presented to school groups at the Villeray—Saint-Michel—Parc-Extension maison de la culture in early May. 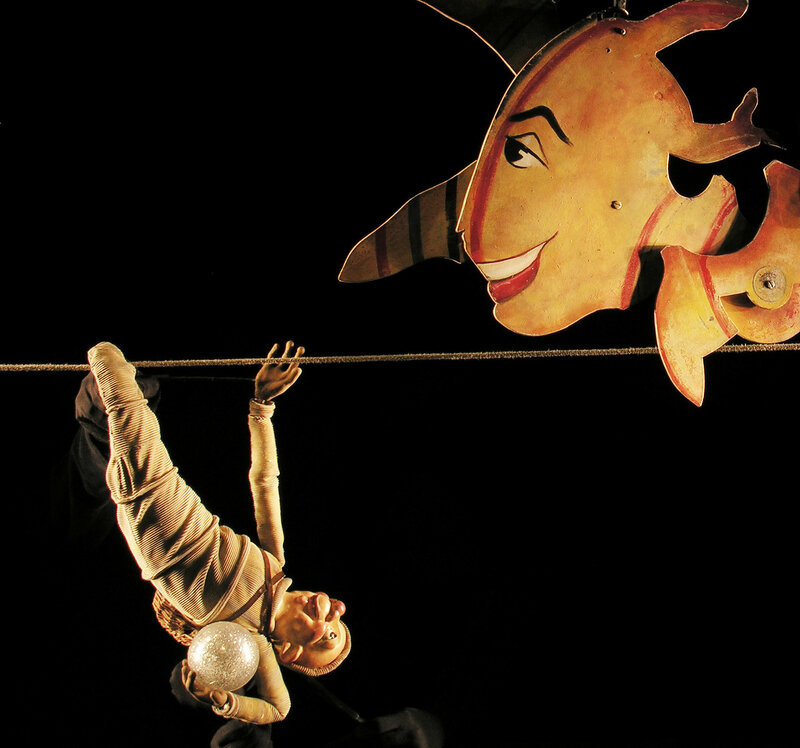 After a performance in Saint-Hyacinthe, The Star Keeper / Le Porteur will be celebrating its 20th anniversary at Montréal’s Maison Théâtre (March 14-31, 2018). Our famous Pretzel is drawing quite a crowd: several performances are already sold out. 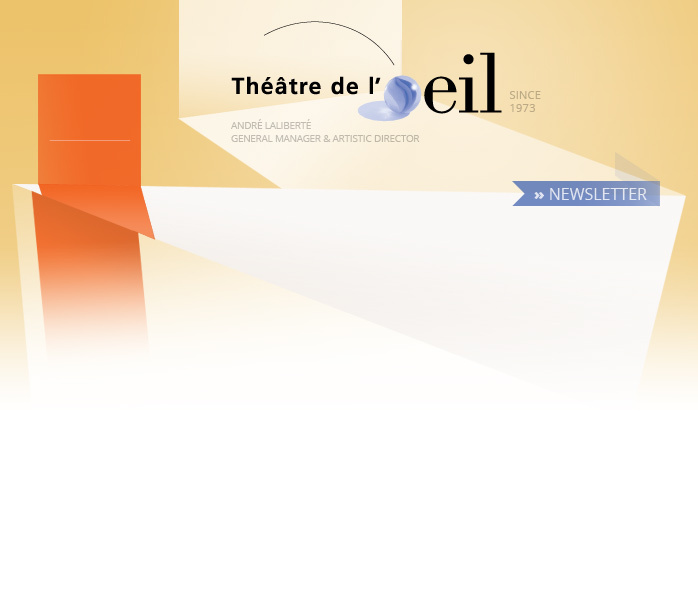 To celebrate this exceptional anniversary, the Théâtre de l’Œil team promises a couple of surprises! And finally, to top off the festivities, The Star Keeper / Le Porteur will be presented in Valleyfield on April 1st (No kidding!). 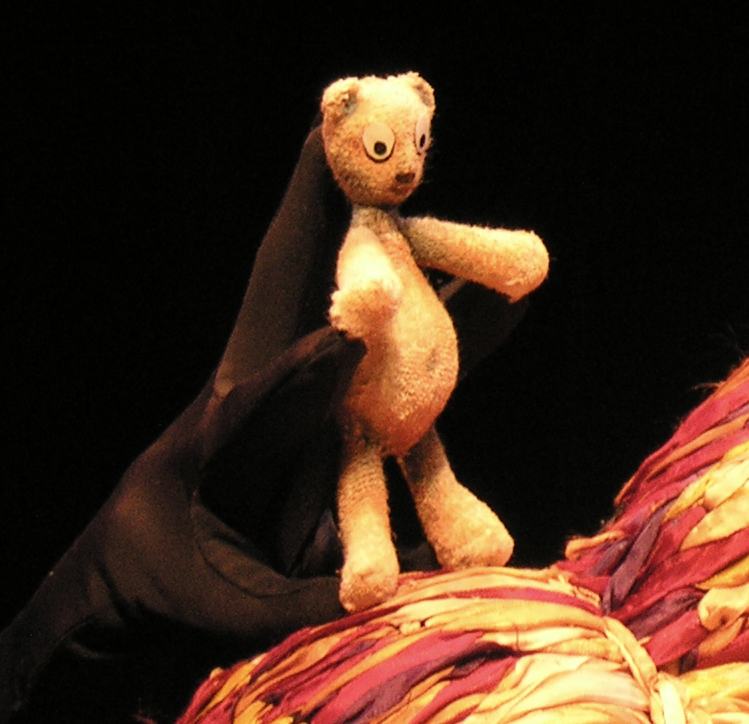 A Heart in Winter / Le cœur en hiver is having a great season: following two performances in July at the Festival international des arts de la marionnette à Saguenay (FIAMS), the show was off to Sudbury’s TNO (Théâtre du Nouvel-Ontario) for a series of performances in November. After a run at Montréal’s Place des Arts at the end of December, A Heart in Winter / Le cœur en hiver will be back on the road with stops in Laval, Longueuil and Drummondville. The show will then tour the city’s maison de la culture network as part of the Conseil des Arts de Montréal’s Touring Program, from January to March 2018. After the CAPACOA conference held in Ottawa this past November, Anne-Valérie Côté fearlessly continues on to other marketplaces. In January, she will be in Philadelphia at the International Performing Arts for Youth (IPAY) showcase, she will then head off to the traditional Bourse Rideau in Québec City in February and the Pacific Contact event in Burnaby, British-Colombia in April.